Enter to win $1000 CL summer wardrobe for your fam! Being a "Multi-Tasking Mom" is just what I like to call, "Being a Mom!" I am always conscious of skin protection for myself and my family when we are out in the sun. 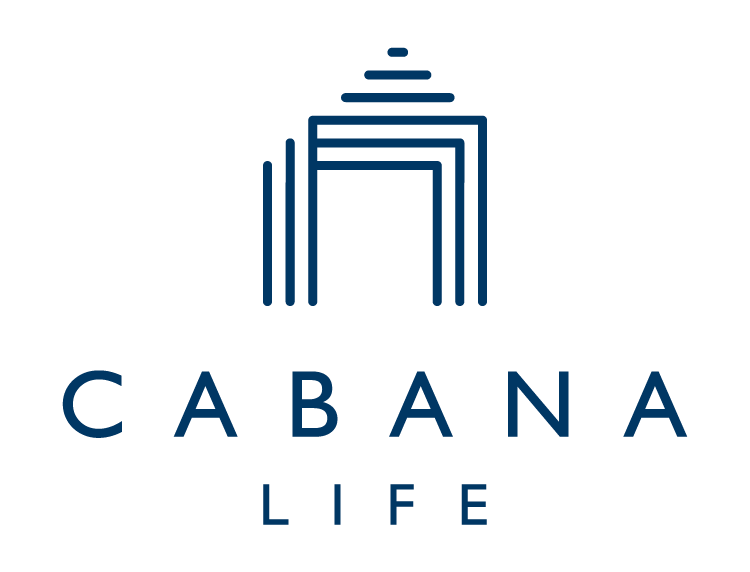 I try my best to make sure we are protected as much as possible and Cabana Life really helps take the work and the worry out of that. For the kids- I coat them in sunscreen, slap on hats, sunnies, a Cabana Life rashguard/suit & I can relax knowing they have extra protection for a full day of fun in the sun. Bonus points for Cabana Life prints being SO ADORABLE! We pack Cabana Life suits for every beach trip we take; they are a household favorite for sure! Balancing motherhood and being a great CEO is a challenge-but I never apologize for being either. I have one son and two daughters, and I don't want my daughters to ever feel guilty about pursuing their passion and creating a livelihood for themselves. I always arrange my flights so I can drop the kids off at school, and I tell them: "I'm going to do my job, you do yours, and rock that test. We'll high-five when I get home." For me, it's about framing the dialogue correctly and always working as a team! My number one tip for juggling work/mom-ing/fun is to get up before your kid(s) in the morning. Even if it’s just 30 minutes. That quiet time to enjoy a cup of coffee while it’s actually hot, shower in peace, pull together outfits, and start the morning on your terms really sets the tone for the day. Cabana Life’s pieces make it easy to quickly grab outfits that are practical (comfy/ great sun protection) and cute. Helping me to feel pulled together and get out the door to the fun even on days when “together” is a little less achieved! One of my favorite quotes that I try to live by is “A family that plays together stays together.” One way that Cabana life makes this easier for me is by creating such stylish and comfortable cover dresses that can be worn both at the beach over a swimsuit or on the go with my girls. As Moms we have a million and three things to worry about. Between snacks, sunscreen, toys, towels, and every other little thing needed for a day of fun in the sun. We live walking distance to the beach AND the pool. Plus, we are known to bounce around between the two on long summer days. The girls LOVE their Cabana Life suits. They keep them cool & protected and they allow me to worry less about the perils of sunscreening two little bodies at every turn. The large zipper also makes them so easy to remove so we have fewer tears and more fun! These suits are a summer staple. We couldn’t live without our Cabana Life at the beach or the pool! I have two high energy girls who want to dive right into the sand or the pool immediately, leaving me minimal time to apply sunblock properly! Cabana Life suits have been a lifesaver, providing such great sun protection so I don’t have to worry as much if I missed a spot! The unisuits are my absolute favorite, the girls look like little surfer girls while staying covered! Cabana Life offers styles and prints for every personality! Hand selected by your favorite mamas, you can't go wrong with any of these summer staples for you and your family. Invest in an amazing bag with compartments and storage for All.The.Things. Organization is key for me! I keep my bag organized & fully stocked at all times with: diaper changing needs, a wet-dry bag for swimsuits, a change of dry clothes, water bottles, sunscreen, a tiny first aid kit, a few travel toys (for restaurants) and lots of snacks. I also always keep a few large ziplocks in my bag. They come in super hands for dirty diapers, extra sandy items, or to use as portable trash bags! We apply all the kids sunscreen lotion BEFORE we head out for the day. This way it has time to soak in before they ask to swim, and also...applying lotion in the sun/sand is never anyone's idea of a good time! Of course, we have to do that when we reapply throughout the day, but that first "full-coverage base coat" is done in the room before we leave. I always pack an extra Cabana Life suit & coverup in my bag. When the kids are wet, sandy, and cranky and need a little break from time in the sun they throw on a Cabana Life coverup. Later, when they are ready to play again, putting on a fresh, dry swim suit is so much easier...and more comfortable! Lastly, on trips we started travelling with a wagon as opposed to a stroller. We strap the baby into the harness and use the extra space to cart around our beach/pool bags...and/or extra tired kiddos at the end of the day!